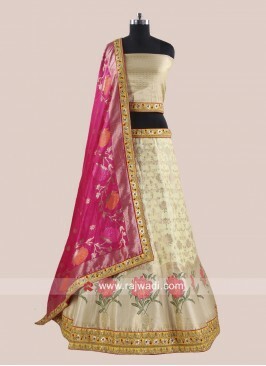 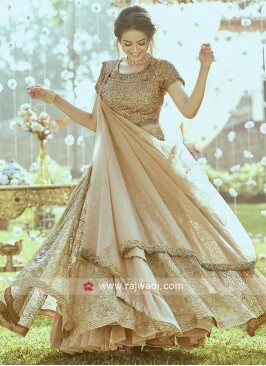 Peach Net Lehenga has all over golden embroidery patch and golden lace border. 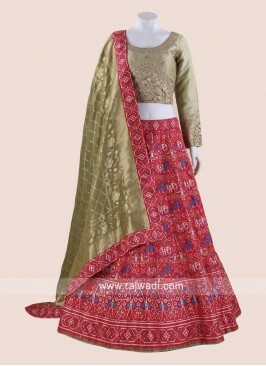 Available with sequins textured Choli and Net Liril Green dupatta. 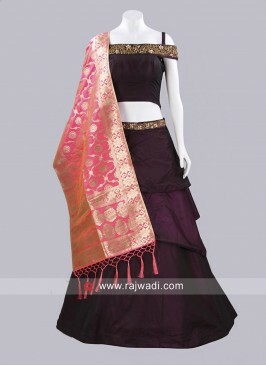 Soft Silk Choli Suit with.. 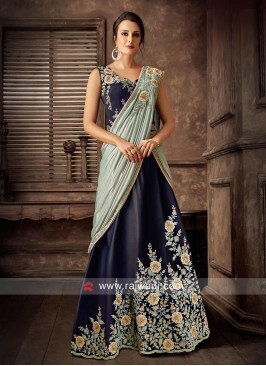 Dark Navy Blue Lehenga Se.. 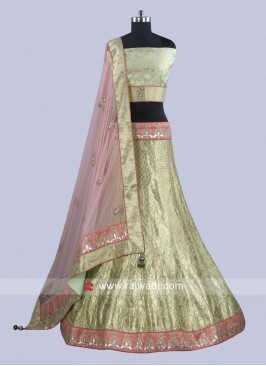 Cream Lehenga Set with Pe..